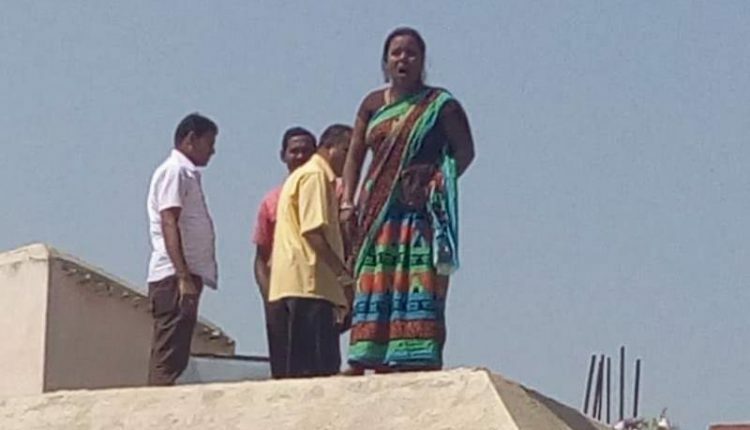 Niali: A hopeless woman attempted suicide from the Niali Block Office’s terrace on Monday. She had been knocking on every door possible to attain a ration card but in vain. The said woman, Babita Maharana of Erancha, had been trying to get a ration card for the last three months. 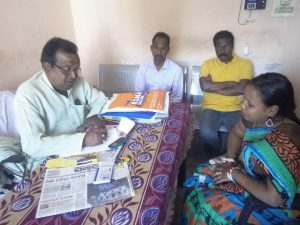 She had been to the block office and panchayat multiple times. On Monday, frustrated with her failed attempts, Babita climbed the terrace of Niali block office and threatened to jump and commit suicide. Niali block Vice Chairman Saroj Pradhan intervened and convinced her to get down. He has also promised to look into her problem.